Acclaimed author, recognized business adviser and speaker to Cisco, HP, Microsoft and Yahoo!, Geoffrey Moore leads a discussion on how mainstream adoption of technology challenges companies to seek breakout growth and innovation. Essential to any working professional, Moore will explain power as a key role in breaking free from the status quo and the need to look towards the future to leverage disruptive innovation. Brought to you by the Stanford Innovation and Entrepreneurship certificate. Join industry experts Bill Burnett and Allison Okamura as they discuss the future and philosophy of electronic touch based design, haptics. Changing the way we interact with devices, haptics design thinking focuses on use of a touch sensitive interface rather than buttons or dials. Continued innovation within this new field of products is quickly defining the marketplace. Don’t miss out. Brought to you by the Stanford Innovation Masters Series: Design Thinking and the Art of Innovation. What if we could capture and store enough solar power to eliminate our dependence on fossil fuels? Imagine window panes that power homes and cars that run on solar fuels. This is just one challenge in the growing field of molecular engineering, a field generating great excitement in science and industry. Join chemical engineering department chair Prof. Eric Shaqfeh and other expert faculty for this webinar. Brought to you by the Molecular Engineering of Energy Technologies Certificate. Professor Knuth will present his 18th Annual Christmas Tree Lecture in NVIDIA Auditorium in Huang Engineering Center, 475 Via Ortega, Stanford University. This lecture will highlight the structure of chordal graphs in terms of a “clique tree” on its maximal cliques, demonstrating an easy way to test a graph for chordality and to find such a tree. 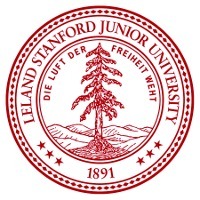 For those unable to come to Stanford, the lecture will broadcast online as a free webinar. Enroll in Winter graduate courses before it’s too late! With the upcoming deadline to enroll in Winter graduate courses fast approaching on January 2, it is highly recommended that you enroll by early enrollment deadline of December 19 to allow time for processing applications prior to the winter holiday. Get a head start and plan ahead! The Stanford Center for Professional Development offices will be closed on Thursday, November 22 and Friday, November 23 in observance of the Thanksgiving holiday. We will resume normal hours on Monday, November 26.